As xMOOCs become more successful and begin to experiment with pedagogies that go beyond the didactic video lecture approach, I have been trying to understand the essential differences between the original connectivist MOOCs such as CCK08 and the current xMOOCs such as those offered by Coursera. 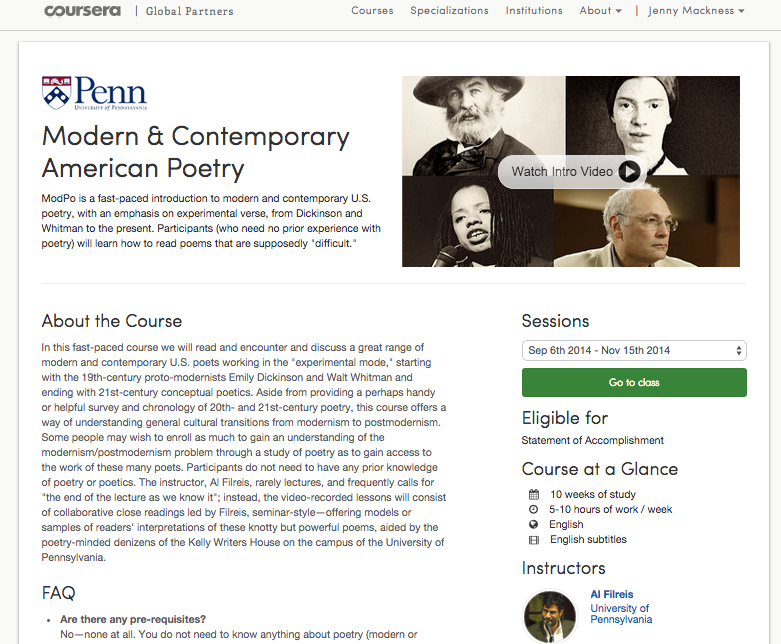 I have now had experience of two xMOOCs – Growing Old Around the Globe (convened by Sarah Kagan and Anne Shoemaker) and Modern & Contemporary American Poetry (convened by Al Filreis). Both these xMOOCs have been very successful. They have reached large numbers of people, established communities of learners around them, promoted interaction and discussion, involved participants in peer review and used teaching assistants to support participants. So if we take these as two of the best Coursera MOOCs, then what are the differences between these and the original cMOOCs such as CCK08, PLENK, Critical Literacies and Change 11? What follows is my current understanding, based on my experience in these MOOCs and what I have recently read and heard from Stephen Downes and George Siemens (see references at the end of this post). 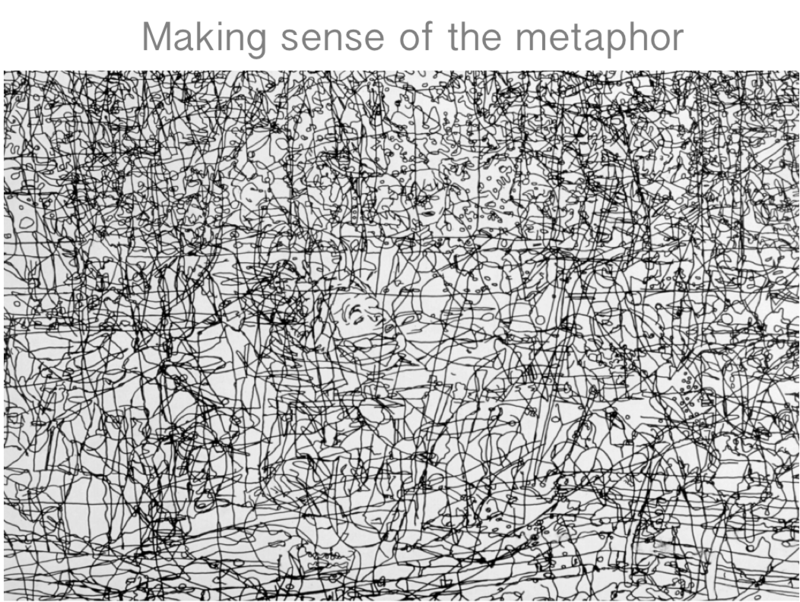 ‘at its heart, connectivism is the thesis that knowledge is distributed across a network of connections, and therefore that learning consists of the ability to construct and traverse those networks’. (Stephen Downes – What Connectivism Is). I am not aware of any evidence that xMOOCs have been specifically designed to test out a given theory. Connectivist MOOCs (cMOOCs) are distributed in the sense that they do not run on a single website or with a centralized core of content; the content in cMOOCs is networked. Participants are encouraged to meet in locations of their choosing and organise themselves. xMOOCs are convened on a designated platform; they may offer alternative sites such as Facebook or Twitter, but the course runs principally on the main platform, where interaction takes place in discussion forums. Blogs, for example, are not a big feature of xMOOCs. 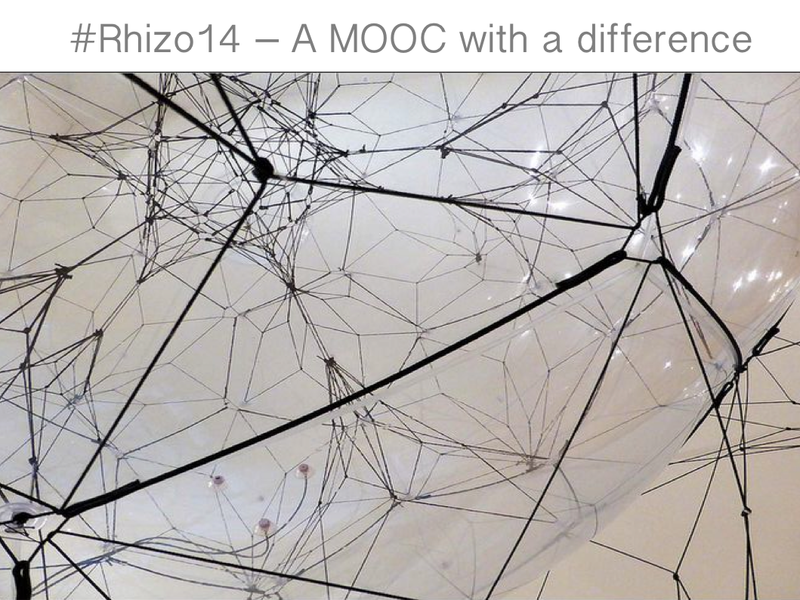 cMOOCs promote diversity, the kind of diversity that comes with a mesh network. xMOOCs encourage a huge diversity of participants, but in cMOOC terms diversity is more than broadcasting the same message to thousands of people, i.e. 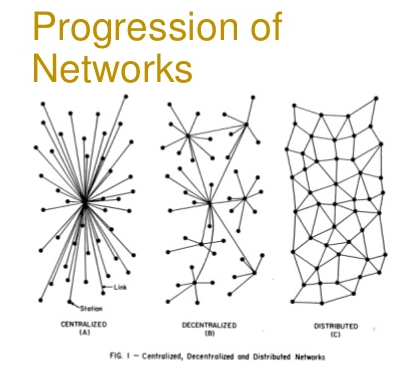 the model of a centralized network. It involves diversity of approach and resources, i.e. participants are involved in determining the approach and creating the resources. The original cMOOCs are based on long standing principles of open education and use open educational resources, i.e. they do not create content to go into the course, they use content that is already ‘out there’ on the web and ‘open’ and link to it. This avoids issues of copyright. xMOOCs build their content within the course platform and this is copyrighted, i.e. it cannot be taken and freely distributed outside the course. cMOOCs connect participants and resources through immersion. They are intended to be disruptive, and to overwhelm participants. Through this they hope that participants will learn how to navigate complex learning environments and be critically selective in lines of enquiry they choose to follow. This model of learning is intended to reflect the current learning climate and environment in which we exist, i.e. a complex fast changing world where there is far more information available than we can ever hope to cope with or keep up with. cMOOC instructors model behaviour, but because the cMOOC environment is dynamic and continually changing, students cannot replicate the instructor’s behaviour – they have to self-organise. In contrast xMOOCs have adopted more of a transmission model of instruction. Key activities in cMOOCs are remixing and repurposing, i.e. that content will be created, ideally co-created, through interaction with freely available open resources. Most xMOOCs do not allow for this, although I think EDcMOOC may be an exception, but I wasn’t a participant and this would need to be confirmed. In a talk that George Siemens gave last night ‘What are MOOCs doing to the Open Education‘ – he said ‘Easy trumps ideology’ and that ‘openness’ is the cornerstone of innovation and creativity, but that the original meaning of openness associated with cMOOCs has become confused by the way in which xMOOCs have been designed. Openness is hard work. It is more than open access. xMOOCs according to George Siemens have taken the easy route. But despite this the advent of MOOCs of all types is disrupting traditional forms of education. He also quoted Jon Dron’s comment ‘Soft is hard and hard is easy’, which I interpret to mean – it is easy (relatively speaking) to create a platform, such as Coursera, but hard to develop a learning space in which flexibility and creativity thrive. Ultimately, whether we go down the cMOOC or xMOOC route (or a hybrid route) will depend on our fundamental beliefs of what education is for, either as teachers or learners (our educational philosophy). xMOOCs have attracted thousands of learners, so presumably thousands of learners are benefiting or believe they are benefiting. 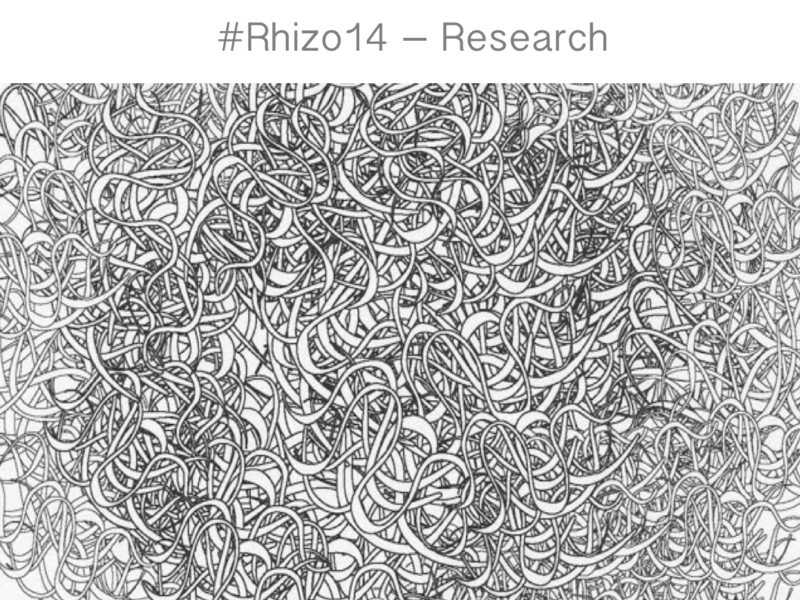 We still need more empirical research on learning in different types of MOOCs. I have learned from the two xMOOCs I have participated in and appreciate the skill and efforts of the tutors and what I have learned from co-participants, but for me cMOOCs remains the ideal. CCK08 was a transformative experience. It changed the whole way in which I think about education and I am still learning from that experience 5 years later. Finally, I do not really see xMOOCs and cMOOCs as a dichotomy. For me there are the original cMOOCs which follow the principles clearly laid out by Downes and Siemens, which I have tried to summarise here, and the rest, which can be a whole mishmash of different approaches which offer more to less autonomy, more to less diversity, more to less openness and more to less interaction dependent on the platform they are offered on and the extent to which the principles summarised above are followed. xMOOCs might be either A) Centralised or B) Decentralised but they are not C) Distributed, i.e. not in the same sense that CCK08 and subsequent MOOCs such as Change 11, run by Downes and Siemens, were. Although xMOOCs such as ModPo do have a Twitter stream and a Facebook group, they do not encourage people to find and create their own discussion groups in locations of their choice, as the original cMOOCs did. ModPo for me is very centralized – with the centre being Al Filreis and to a certain extent his TAs. No Al Filreis – no ModPo. He is the ‘sage on the stage’. And it seems to be working well for most people. Al is charismatic. There are hundreds of discussion threads and Al Filreis and his team of TAs are very visible in there. They must be exhausted. I am loving the poetry in ModPo – all new to me – and the video discussions which model and demonstrate how to close read these poems are very engaging. Even within one week I felt I had learned a lot, not least that some poets resonate and others do not. But, despite this, there are elements of ModPo that I find disturbing and they are mostly to do with the assessment process, which on a professional level (as an educator) have concerned me. I have already mentioned in a previous post that I can’t see any value in having to post to discussion forums as an assessment requirement. Now there are three other points related to assessment that I find troubling. 1. The assessment criteria (peer review instructions) were not posted before people submitted their assignments and this does make a difference – because, for example, the reviewers were asked to judge whether assignment writers had understood Emily Dickinson’s use of dashes in her poetry. Whilst dashes were discussed at length in the videos, they were not mentioned in the assignment writing guidance. Participants/students should always know the criteria they are being assessed against. 2. The fact that all the assignments, once they have received one peer review, are automatically posted to one of the Coursera forums, i.e. all the 30 000 participants can see the submitted assignment if they have the time and energy to wade through the 75 (at the last count) that have automatically been posted. Assignment writers were not asked whether they would be willing for this to happen. In an Announcement to the class they were told that “This enables everyone to participate, at least a little bit, in the reading and reviewing of essays” – but frankly all it does it load even more discussion threads to the forums, which are already overloaded and – more significantly – takes the control and ownership of the assignment and learning process out of the hands of the learner more than is necessary. For me a successful adult learning process relies on learners having as much autonomy as possible (another principle from the early cMOOCs, but also one backed up by research into adult learning). All it needed was consent from the assignment writer. 3. The third point is the worst. A participant has been publicly named and shamed for plagiarism in the assignment submission forum mentioned above. Her assignment was automatically posted as explained – so she had no choice over the matter. The reviewer had not noticed the plagiarism (a section copied from Wikipedia) – but to the title of her post has been added (Note from Al: this essay has been plagiarized). At the beginning of the course there was a stern warning in the initial announcement about plagiarism – although I can’t find it now – and participants submitting assignments are asked to tick a box saying that the work is their own. It could be argued that public naming and shaming of a participant serves as a warning to all other participants – but I think it is cruel and ultimately destructive. I know from experience that foreign students often have difficulty understanding what plagiarism means and as far as I can see there is no advice on the site about citing sources. However you look at it, I don’t believe a student should ever be publicly named and shamed. She should have been contacted privately by email. That would have been enough – especially since she may not get the certificate anyhow, since she hasn’t made any discussion forum posts. Did anyone bother to check? These exhibitions of power, control and centralization are a long way off the original conception of MOOCs. Today I am disappointed in ModPo for the first time. Why? Because, I realize that it has fallen into the trap of believing that requiring posts to a discussion forum can in some way measure the success of learning. On checking I see that it does say this on the Announcements page in the very first post ‘a thought on plagiarism’, but I failed to notice it until it was mentioned in the audio discussion between Al Filreis and Julia Bloch that was posted today. To be considered a student who has “completed” the course, you need to have written and submitted the four short essays, commented on others’, submitted (and minimally ‘passed’) the quizzes, and participated in the discussion forum. Evidently to get a certificate of completion, a ModPo participant must make a post in each week of the course, in one of the staff initiated weekly forums. I completely fail to see the point of this. It is not as if ModPo is short of discussion in the forums. It is completely swamped with discussion. In addition it is the kind of assessment requirement that tempts me to simply ‘play the game’ (if I was that keen to get a certificate, which I am not). I could put any meaningless post about any meaningless thing in each week’s forum and theoretically I have fulfilled the requirement. I have already accepted that ModPo is not completely open, simply because it is tied to the Coursera platform and therefore does not have ‘open’ resources in the original cMOOC sense of participants being able to aggregate, remix, repurpose and feed forward resources at will. But I have otherwise been very impressed by the pedagogy – the standard of teaching is very high, the level of support from and engagement by the tutors is beyond the call of duty for a MOOC, and the content is so stimulating. All credit to the tutors and TAs. But this requirement to post to the forums is a definite blip, in my book. Why? – because it puts (in this context) an unnecessary constraint on the autonomy of those learners who would like to achieve a certificate of completion, and won’t necessarily add anything to the learner experience. It definitely wouldn’t to mine. I have listened to all the videos, read all the poems, completed the quizzes for Weeks 1 and 2, written and submitted my first assignment, but this requirement to post to the forums is one hoop that I will not be jumping through. If there had been a meaningful activity around being engaged in the discussion forums, then I would have been happy to comply. As it is, I don’t feel that I need to learn how to post to forums, I have done lots of this in the past, nor do I need to learn the value of social learning. I have been practicing and promoting it for years. If I feel that I can genuinely make a contribution in a forum, then I will. Despite this disappointment, ModPo remains a highly stimulating experience, on a number of levels, and one that I would recommend to anyone interested in open learning, pedagogy and poetry. OldGlobeMOOC is about to start it’s 4th week (following a week’s break for July 4th celebrations in the US), and the Week 3 assignment peer reviews are in. For me this assessment process is one of the most interesting aspects of this xMOOC. I have thought since the first MOOC in 2008 (CCK08 Connectivism and Connective Knowledge), designed and run by Stephen Downes and George Siemens, that assessment may be the sticking point for MOOCs. In my last post , I outlined some of the difficulties that OldGlobeMOOC is experiencing with the assessment and peer review process. It seems to me, once again, but this time for an xMOOC, that if MOOCs are going to be sustainable and successful, then the assessment process has to be ‘cracked’ and meaningful. OldGlobeMOOC has taken a different approach as I described in my last post and I understand from other participants that this is similar to a number of other Coursera MOOCs. For me this my first xMOOC, but it is not for quite a few OldGlobeMOOC participants, who have taken numerous Coursera courses and in the forums have shared their experience of the peer review process. I will add my experience to the mix, and just so you know what we are talking about here are links to my assignments with their peer reviews. If you read these, you will see that the assignments are not very different in their style and level to my blog posts, i.e. they are not academic pieces of work – rather discussion pieces or personal reflection. And judging by the assignments I have reviewed, other participants’ assignments are of a similar level. Which brings me to the review process, which I reflected on in my last post, but will add a few things here. The idea is that each participant submits an assignment and peer reviews five assignments for each week, which I have done. If this is not done, i.e. the peer review, then a 20% penalty is incurred. All students wishing to obtain a Statement of Accomplishment must achieve 7 out of 12 points and submit 5 peer reviews each week. If a student fails to complete the 5 peer reviews, that week’s assignment will incur a 20% penalty. Despite the fact that I definitely submitted five peer reviews for Assignment 3, I received a 20% penalty and therefore scored 1.6 instead of 2. It’s very easy to know that you have completed the 5 peer reviews, by the way the Coursera system takes you through the 5 assignments allocated for review; and the system confirms for you at the end of the process that you have submitted 5 – so I know that I did. So there’s been a blip in the system somewhere. It’s not a big deal for me, as I’m only doing this to experience the process and because I like the assignments and find the discussions interesting. I am not doing the course for the Certificate – but I do wonder how a blip in the system affects people who are really keen to receive a Statement of Accomplishment. There is no guarantee that you will receive 5 peer reviews. I received five in Week 1, three in Week 2 and four in Week 3. There has been some discussion in the forums about how this might affect the overall system and whether or not you have to review more than 5 assignments to receive 5 reviews. peer 2 → I’m headed for an airplane so don’t have time to review, and I won’t be back until after evaluation time ends so I’m just giving everyone a 2. Aside from this here are some further reflections. The OldGlobeMOOC is a great experience in terms of the diversity of participants. Unfortunately the younger participants, in their teens, who signed up, seem to have fallen out of the discussion forums. This does not mean that they are no longer participating through observation and reading – it’s difficult to know. But I have wondered how an 11 year old might review the assignment of an academic Professor, or how an academic Professor might respond to a learner with special needs, or a very young participant, or someone whose first language is not English, and so on. The assignment submission is anonymous. Do these differences have implications for the equity of the peer review process? Despite all this I am finding OldGlobeMOOC a fascinating and enjoyable experience and am looking forward to the start of Week 4. OldGlobeMOOC – What is ageing? Biological, social and psychological ageing is the focus for discussion in Week 1 of the University of Pennsylvania’s Coursera MOOC – Growing Old Around the Globe. 5944 people from all over the world have signed up for the MOOC and 1500+ people are actively participating. The MOOC has a truly international feel. Every continent except Antarctica is represented. The age range also adds to the huge diversity, ranging from 11 to 80+ years. It is very encouraging to see both ends of the age spectrum represented. The range of expertise is also very apparent. No specific level of expertise is required for the course, but there are many who appear to have a lot. I am not one of them. My level of expertise comes from personal experience of caring for an elderly relative. …. and there are lots more. Some of these topics could be courses in their own right, such as the topic of death, – so it will be important, as in all MOOCs, to filter, select and focus on the threads of personal interest and use. This is my first xMOOC and I am very much an advocate of cMOOCs (of the Stephen Downes, George Siemens and Dave Cormier type), so this will be an interesting experience on a number of levels.